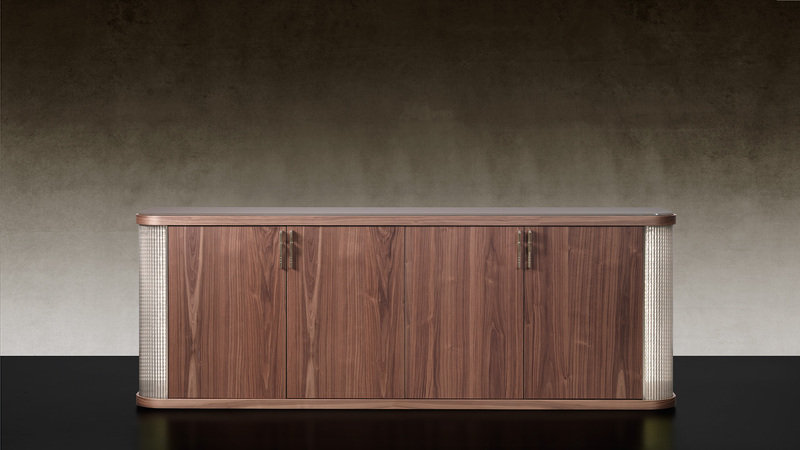 Buffet in wood with four doors, available in shiny lacquered finish or in canaletto walnut or in shiny ebony wood. Curved sides in ‘flutes’ glass with bronze ‘mesh’ decorations and details in antiqued dark brass, equipped with internal led lighting system. Handles in antiqued dark brass (or in ‘blonde veined horn’). Internal shelves in transparent glass.